Over the past two years, more than 2,000 people have been impacted by a decision to revoke entry permits to Israel, from Palestinians who share a name with someone who has carried out a resistance attack. 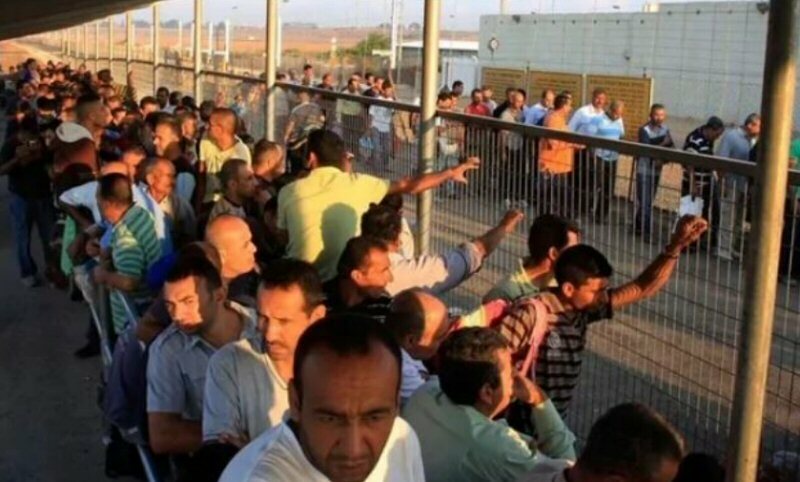 A report by Hebrew channel Social TV revealed, this week, that since 2016, thousands of Palestinian workers from the West Bank, many of whom have worked in Israel for over 20 years, have had their entry denied overnight, rendering them jobless. When the reason for the refusal is requested, Israeli authorities state that it is due to a shared family name with a suspected resistance attacker, even if no actual familial connection exists between the two parties. The move has impacted hundreds of people with common Palestinian names. Whilst Israel regularly implements such a policy on the direct family members of resistance attackers, usually for the space of a year, some of the recent permit refusals have been found to state their expiry date as 100 years from the time of issuance, effectively barring Palestinians from exiting the West Bank for life. With unemployment in the occupied territories high and wages low, the latest refusals have increased the financial strain on hundreds of families, many of whom have numerous dependents to support. Palestinians have argued that this only increases the likelihood of resistance attacks against Israeli forces, as young men feel hopeless at the prospect of continued economic hardship for their families. “Take a balloon. If you keep blowing into a balloon, how long will it last? In the end, it will explode. We are fed up and waiting to explode. We want to work, we have family responsibilities,” Kaher Al-Jamal, a Beit Surik resident who previously worked as a gardener in Israel, said. The prevention of Palestinian employees crossing the border has also caused concern among Israeli companies which require workers, particularly in the field of construction. Some Israeli contractors have raised the issue with border administration officials, but to no avail. Many Palestinians have attempted to address their exclusion through legal channels. Whilst the Israeli authorities have defended their right to block entry to those deemed a security threat, many have found their permit reinstated prior to scheduled court dates, according to Attorney Tamir Blank, suggesting that authorities wish to avoid hearings on the issue. The Israeli High court has ruled that measures that constitute collective and arbitrary punishment are illegal, but occupation forces have otherwise been permitted to carry out such actions with impunity.